So said UFC president Dana White following BJ Penn’s loss to Rory MacDonald at UFC on Fox 5. That was five months ago, and despite a rash of recent retirement announcements, Penn has yet to make any declaration about his career. Forrest Griffin announced his retirement on Saturday night following UFC 160 in Las Vegas. His announcement followed those of Matt Serra, John Cholish, and Shane Carwin. 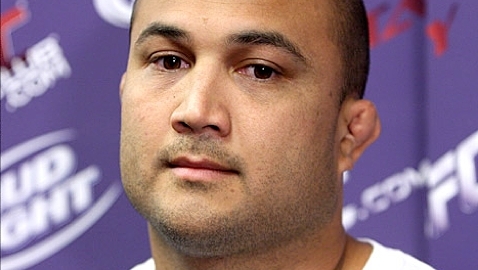 “I want BJ Penn to retire,” White reiterated during a UFC 160 post-fight scrum with members of the media. White understands why Penn finds it difficult to turn his back and walk away. Penn has already tried. He retired following his UFC 137 loss to Nick Diaz, but returned little more than a year later for the fight with MacDonald. The allure of competition and the allure of the crowd are magnetic. 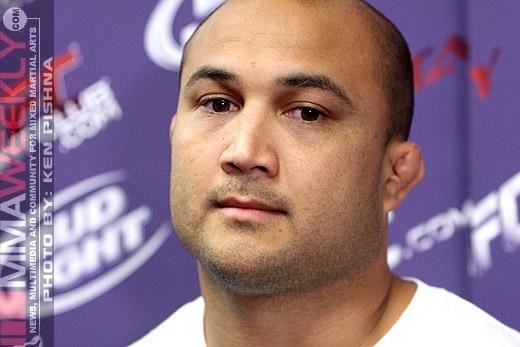 Warrior is an overused word in combat sports, but in BJ Penn’s case, none fits better… and that’s both a good and a bad thing. It’s good in that Penn never quits, fighting to the final bell, entertaining the fans that have come to love him. It’s bad in that Penn never quits, fighting to the final bell, often taken tremendous amounts of punishment. “BJ is too tough for his own good,” White declared. “BJ might not be knocked out, but the shots BJ took would have knocked out a normal human being. He’s had his head bounced off the canvas like a basketball by Matt Hughes, by Georges St-Pierre. And that is exactly why White wants Penn to retire. He wants Penn to ride off into the sunset and enjoy his growing family before his warrior spirit gets the better of him in the Octagon.